Is QuickBooks Online HIPAA Compliant? Have you ever wondered if QuickBooks Online is HIPAA compliant? My guess is that many have not. I only decided to look into this when developing the QuickBooks Online integration for Jasmine. You may even be asking yourself, "Why does my accounting software need to be HIPAA compliant?" The short answer is that as an acupuncturist and medical professional, you need to understand how all your patient data is used and handled. 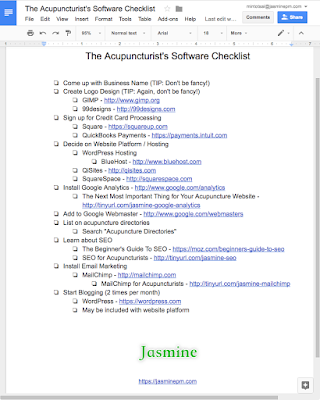 In this post, we'll cover QuickBooks Online and HIPAA, can acupuncturists use QuickBooks, how to use QuickBooks as an acupuncturists, and how the Jasmine/QuickBooks integration will handle patient data. QuickBooks has put together a page detailing their official stance on HIPAA. Currently, QuickBooks Online (QBO) meets industry standards for online security, but is not compliant with the HIPAA standards for privacy. If you are a health care professional, it is not recommended that you enter "individually identifiable health information" into the QuickBooks Online program. As stated, QuickBooks provides a high level of security, however, they are NOT HIPAA compliant. What does this mean for acupuncturists using or looking to use Quickbooks Online? 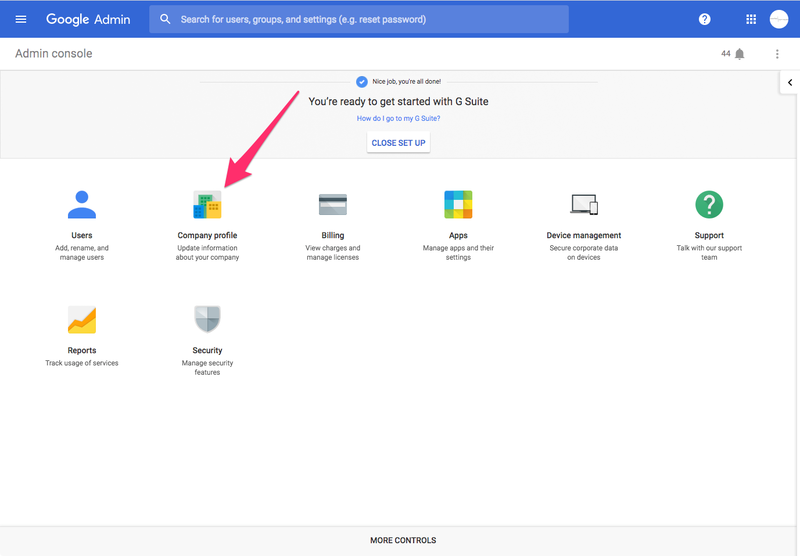 The way to use QuickBooks Online properly is to NEVER enter "individually identifiable health information", as alluded to in the previous statement. What is "individually identifiable health information"? Protected Health Information. 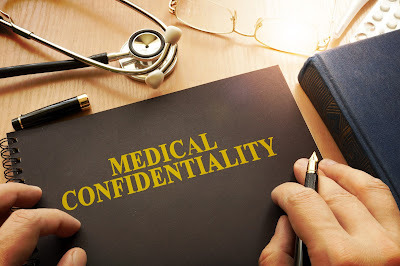 The Privacy Rule protects all "individually identifiable health information" held or transmitted by a covered entity or its business associate, in any form or media, whether electronic, paper, or oral. The Privacy Rule calls this information "protected health information (PHI)." and that identifies the individual or for which there is a reasonable basis to believe it can be used to identify the individual. Individually identifiable health information includes many common identifiers (e.g., name, address, birth date, Social Security Number). In summary, as noted by the HIPAA Privacy Rule, "individually identifiable health information" involves information including name, address, birth date, etc. The HIPAA Privacy Rule gives guidance on how to use QuickBooks Online by acupuncturists. The Privacy Rule states that "There are no restrictions on the use or disclosure of de-identified health information. De-identified health information neither identifies nor provides a reasonable basis to identify an individual." De-Identified Health Information. There are no restrictions on the use or disclosure of de-identified health information. De-identified health information neither identifies nor provides a reasonable basis to identify an individual. There are two ways to de-identify information; either: (1) a formal determination by a qualified statistician; or (2) the removal of specified identifiers of the individual and of the individual’s relatives, household members, and employers is required, and is adequate only if the covered entity has no actual knowledge that the remaining information could be used to identify the individual. The end result of all this is that it is possible for you to use QuickBooks Online in your acupuncture practice with the caveat that the patient health information is de-identified and protected. For the QuickBooks/Jasmine Integration, I will de-identify the patient's name and invoices will not disclose any information regarding the patient's medical condition. If you're interested in the Jasmine/QuickBooks Online integration, click on the link below and signup for the private invite. Click to Signup for the Private Invite for QuickBooks Online Integration! 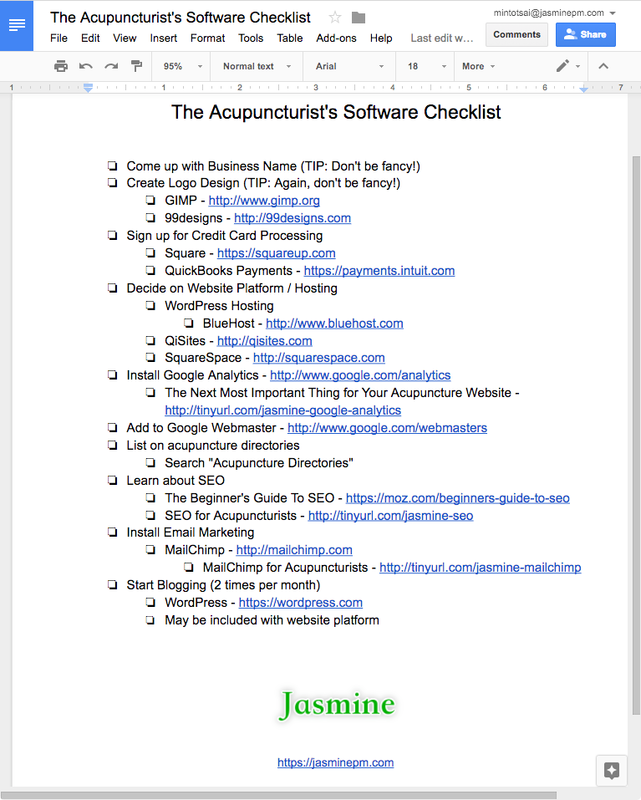 Do you use QuickBooks Online in your acupuncture practice? As far as small business accounting systems go, QuickBooks is the tried and true software of choice. Many acupuncturists use QuickBooks for accounting at their clinics and, if you work with an accountant, many will recommend QuickBooks. While Jasmine has some overlapping functionality with QuickBooks, like creating invoices and tracking inventory, it was never meant to be a QuickBooks replacement. For these reasons, Jasmine will be integrating with QuickBooks Online. At the moment, I'm still working out what the integration will look like. The first feature will be to import your inventory from QuickBooks Online into Jasmine. What other features would you like to see? This is where I could use your help. If you're interested in seeing QuickBooks Online integration, click on the link below and signup for the private invite. Today, we're announcing Secure Patient Messaging for the Branded Clinic App. Your patients can view, compose, and reply to messages securely from within your Branded Clinic App, while, you, the practitioner, can do so within Jasmine. In addition to Secure Patient Messaging, the Branded Clinic App includes Patient Booking, View Appointments, and Clinic Info. How do you securely message your patients? Post a comment below! Download the 2018 Marketing Calendar for Acupuncturists! Have you started thinking about your 2018 marketing plans? The New Year brings new opportunities to grow your practice! And, marketing is the way you create those opportunities. This year, you might think about trying a new marketing channel you've never tried before. In addition to choosing a marketing channel, marketing around special events and dates in the year gives you the benefit of riding on the coattails of the marketing buzz already around those events. This is where the marketing calendar comes in. To help you organize your marketing plan around these yearly events for maximum impact! 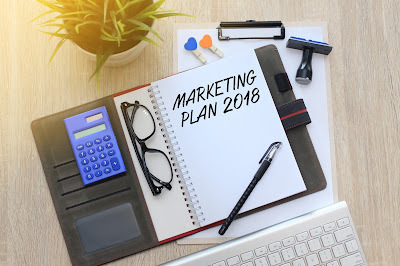 I hope this helps your 2018 marketing plans! Are you hiring an associate acupuncturist? Have you thought about bringing on another acupuncturist into your practice? Lately, several Jasmine clients have been expanding their practice by bringing on associate acupuncturists, massage therapists, and receptionists. These stories brighten up my day because it means that the acupuncture ecosystem is thriving and growing. And, I'd like to think that Jasmine has had some hand in helping the ecosystem. Bringing on an associate acupuncturist also poses a huge issue, the need to keep certain aspects about the practice private, like the your patient list. Many practice owners tell me that one of their biggest fears when bringing on an associate acupuncturist or massage therapist, is that the employee will take their patient/client list when they leave the practice. As a practice owner, this is a legitimate fear, I hear stories about this all the time. The patient list is literally money! It's another matter if the acupuncturist is just renting a room from you, operating as a separate entity, and finding their own clients. In this case, there's very little cross over and a very clear line of separation. But as your employee, the clients and patients that you've acquired by spending your own time and money to market and build your brand is the result of your hard work and that patient list belongs to you. So how do you keep it safe? As, the practice owner, one way to protect yourself is separation of duties. Separation of duties means that the associate acupuncturist is given a narrowly scoped set of jobs or tasks within the practice and never has access to your patient list. In the old paper and pencil world, separation of duties was easier because things were physical and you knew when someone took your contact book or patient notes. However, in the digital world, where your contact list is electronic, your patient list is as easy as the click of a download button. So putting safe guards in place to protect your data and your patient's data is important in today's digital world. 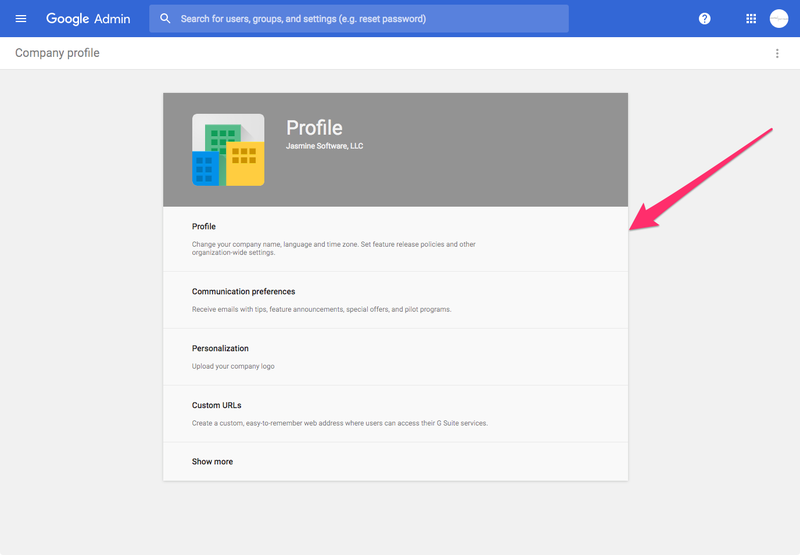 In Jasmine, a user can be associated with a profile, which allows you to control all the access for that user within the system. One of the finest level's of access is Field Level Security, which allows you to control the field that the user has access to. For example, if you want to disable access to a patient's email address or phone number, you can. 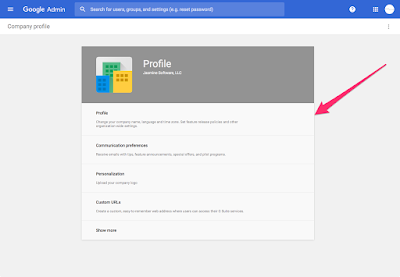 The next level would be Object Permissions, which allows you to disable access to a complete type of data. An example would be to completely disable access to your invoices or patient list. In this case, the user would be unable to create, update, delete, and view a specified object. And finally, the Data Export functionality can be disabled for a particular user, so that she's unable to easily extract information from your Jasmine database. 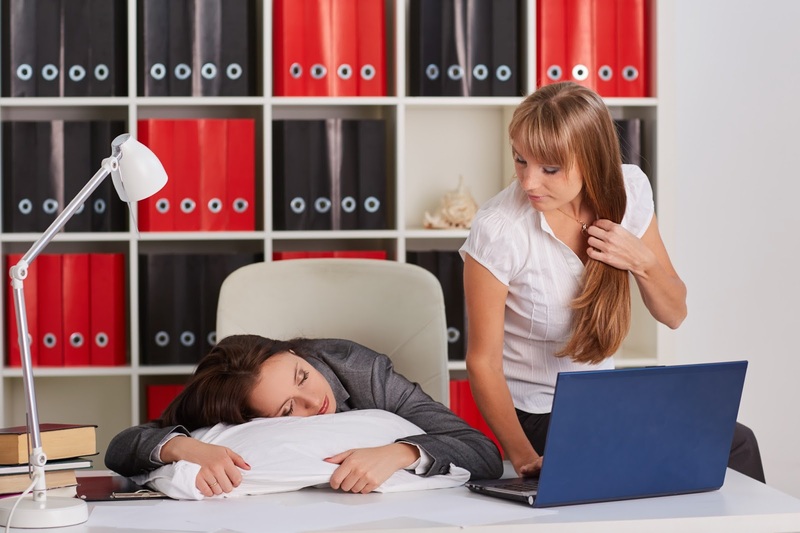 Are you planning on bringing on a new associate acupuncturist or employee to your practice? Love to hear about it in the comments below! 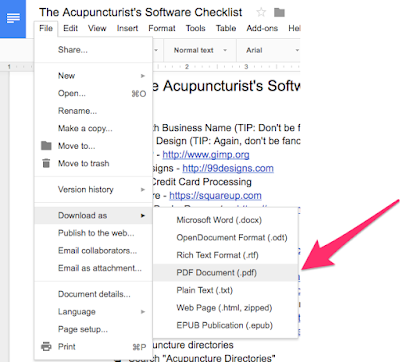 Have you ever found yourself needing to quickly create a PDF file for your acupuncture practice? Several times a year, I find myself having to create a PDF file for various reasons, like a quick invoice, contract, etc... any document that looks good and can be easily shared. PDF documents are good for when you need to share information and don't want the document to be editable by someone else. In this post, we'll go over the benefits of PDF files, why you would use them, and how to easily create them! 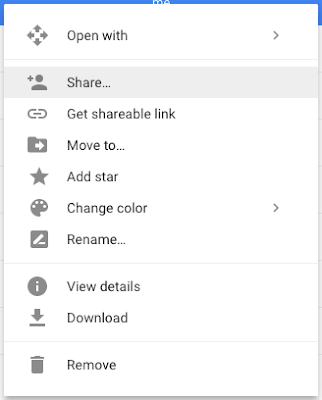 Readable on almost every device. Free tools available. Creating PDF documents are easy and fun! Another added benefit is that a PDF file feels "official", especially if it's nicely formatted and looks great. Do you create PDF documents in your practice? Post a comment below! 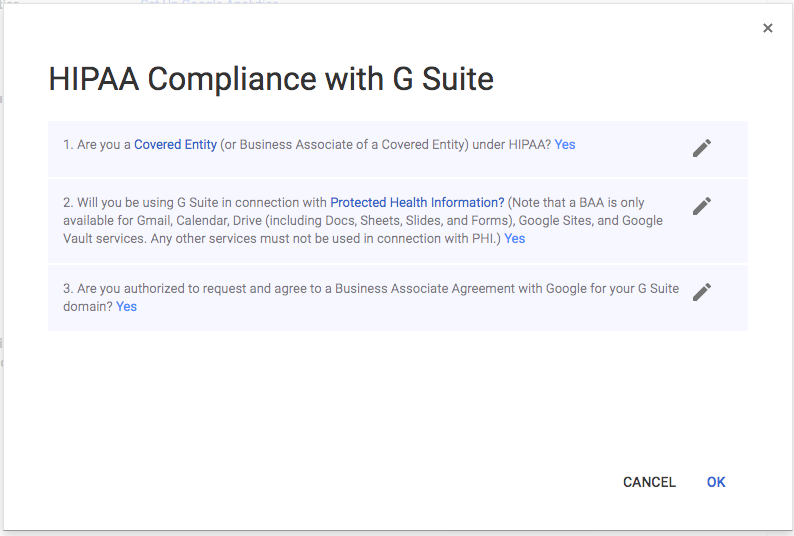 As a continuation of exploring Gmail and HIPAA Compliance, this blog post will focus on using Gmail in a HIPAA Compliant way. 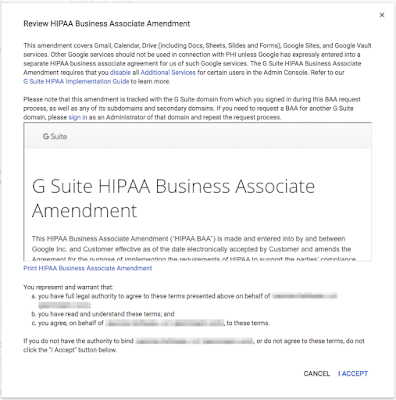 To read the previous blog post on this, click here for "Is Gmail HIPAA Compliant?" To reiterate the core ideas from previous posts, first, email is inherently insecure, so do not sent PHI (Patient Health Information) through email. 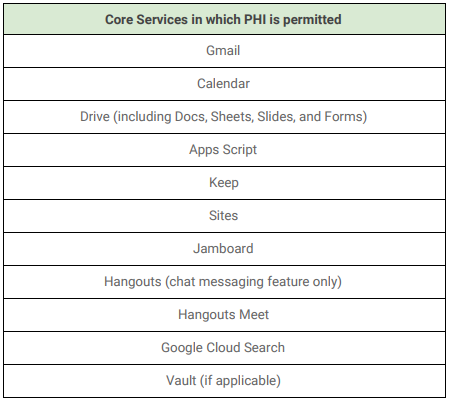 Two, Gmail can be used in a HIPAA Compliant way, as mentioned in "Is Gmail HIPAA Compliant?" Now, we're going to talk in detail about how to be HIPAA Compliant with Gmail. 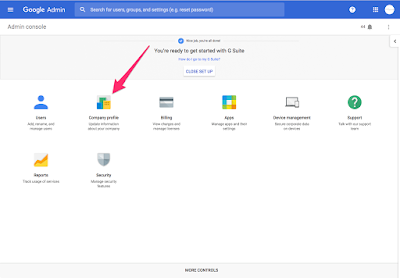 At the time of this post, only a subset of the Google Core Services are covered by the G Suite BAA. This means, that only the apps in this first box are permitted to be used with PHI. 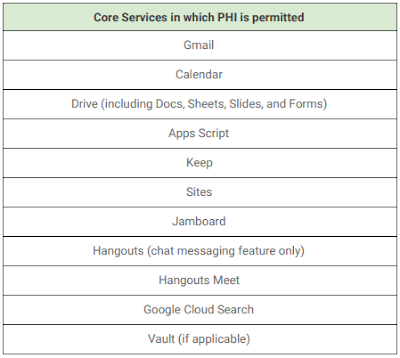 The following Core Services are not supported for PHI. 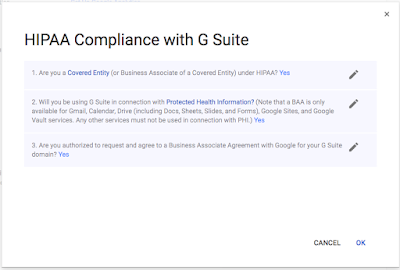 After signing up for Google's G Suite, you'll want to sign their BAA. The following steps show you how. 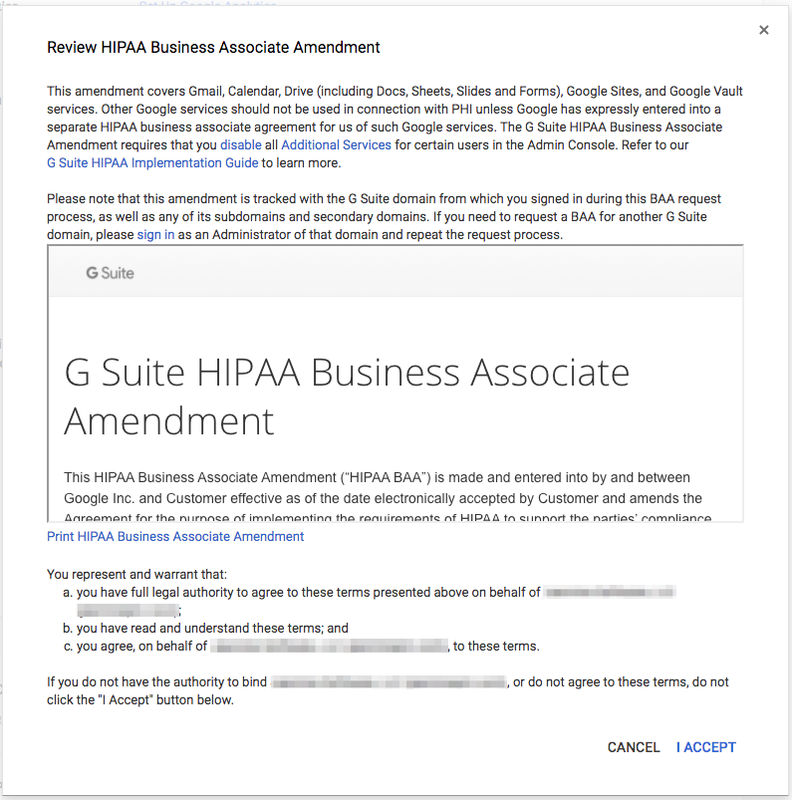 Answer all three questions and click "Ok"
Review the HIPAA Business Associate Agreement and click "I Accept"
As we've said before, email is inherently insecure. 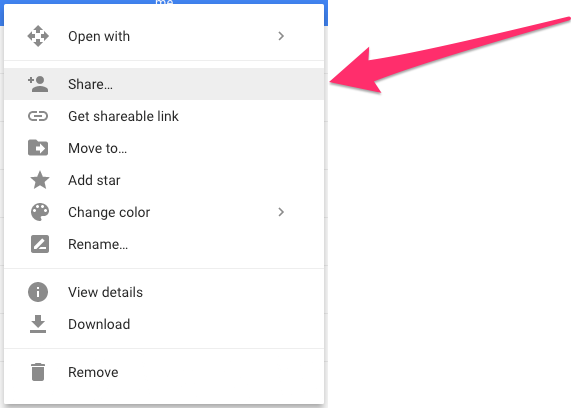 So, you don't want to directly include or attach PHI to your emails, even with Gmail. The way to send PHI through email is to use Google Drive. 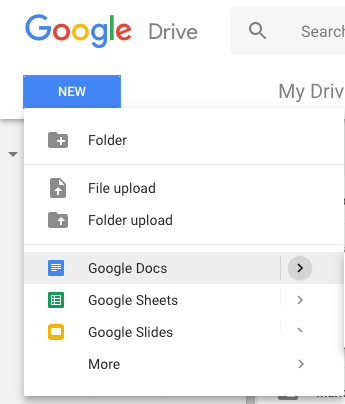 At a high level, you'll upload the PHI to Google Drive and follow the steps below to share with your patient. 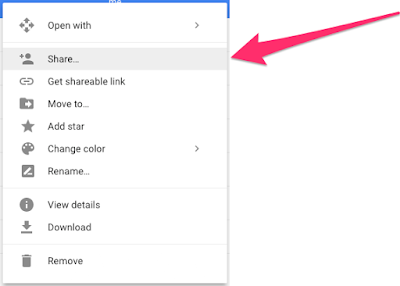 Ensure the sharing settings are set to "Specific people can access"
As we mentioned in the post, "Is Gmail HIPAA Compliant? ", you'll want to ask your patient's for permission to send HIPAA sensitive information through email. Don't forget to get it in writing! 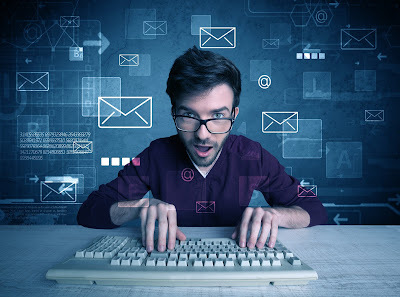 Do you use Gmail in your practice? Post a comment below!